Well some people like to blog about what they are currently reading, but I often wonder if they ever finish the book or if they simple skimmed through it a little bit and it's now gather dust on a shelf. 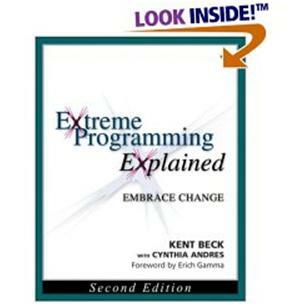 I just finished reading Extreme Programming Explained by Kent Beck. It was very interesting to read and I suggest picking it up if you are interested in the topic of Extreme Programming.